On Tuesday, October 30th, Shawn Livingston, a 10-year military veteran, up-and-coming endurance trail runner, and recovering addict who discovered his love for running through Back on My Feet Austin (BoMF), met with William Dyson (Austin Marathon Communications Manager) to conduct the latest installment of the Staying Vertical interview series. They discuss life’s highs and lows, running’s impact, and what the future holds. 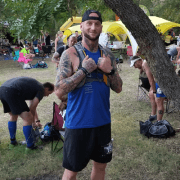 Shawn just completed the Pinhoti 100 Miler in Sylacauga, AL, and has his sights set on the 2019 Ascension Seton Austin Marathon presented by Under Armour. 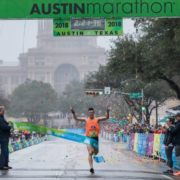 BoMF, an Austin Gives Miles official charity, combats homelessness through the power of running, community support, and essential employment and housing resources. Read his interview below. 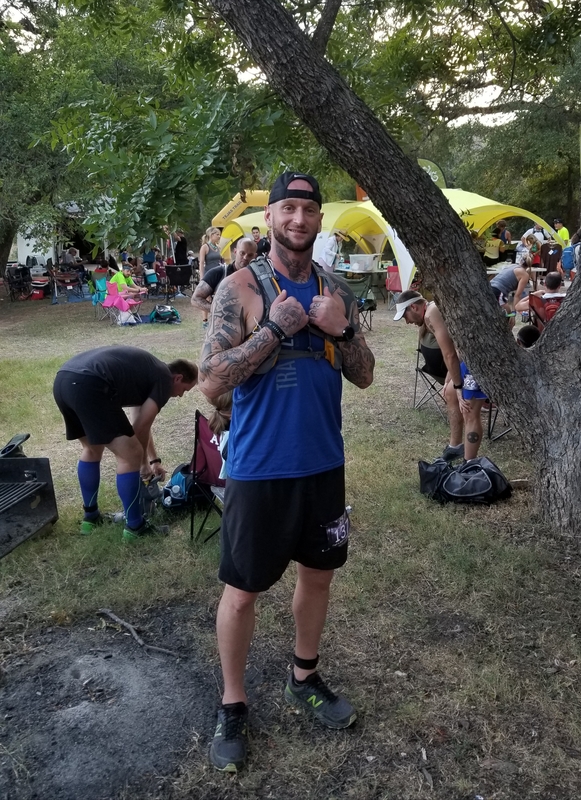 If you see him on the trail or running with Austin Runners Club’s Ship of Fools chat him up! William Dyson – When did you move to Austin? How long ago did you begin running with BoMF? What prompted you to join the group? 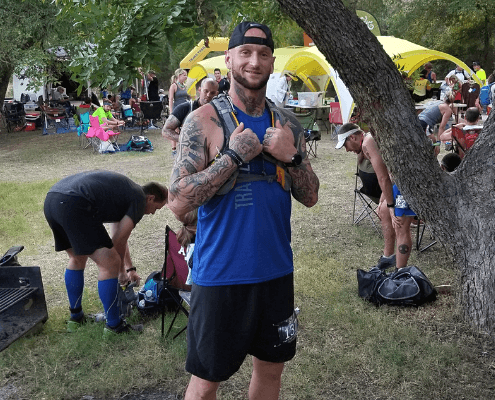 Shawn Livingston – I moved to Austin in 2016 for treatment. I’ve been running with BoMF for nearly 18 months now (began in June – 2017). I distinctly remember seeing a few guys return from running the 2017 Cap10K. I knew I wanted to get healthy, but I needed something to push me a little bit further. Seeing those guys return provided that spark for me. WD – What was your life prior to BoMF? SL – Growing up I was the oldest sibling. I did well early on in life, was a good role model for my siblings, and did well in sports. During my 10 years in the military, I got injured and became addicted to opiates. I was lost for a long time, eventually getting into legal trouble for drug possession. Everything came crashing down when I went to prison. It was there I realized I needed to stop being selfish. You get back what you put into this world, I truly believe that. I started thinking if God had a plan for me to peak early in life and then crash just so my siblings would know what not to do, then it’d be worth it. It was difficult to get past that thought process. WD – What was your initial reaction to BoMF? SL – BoMF was exactly what I needed at the exact right time. As a vet you miss getting up early, the camaraderie, going on long runs, the structured routine. Finding something similar was just what I needed. There were runners at the morning runs like me and I knew this would be the perfect stepping stone. WD – What has running done for you as a human? SL – After getting out of the military, I had problems with depression and anxiety. I couldn’t sleep and had nightmares regularly. Eventually, running became a part of my life and did to me what medicine could not. Through running I was able to break my dependence on the medication. Since I was a kid I’ve never been good at being still. Now, running has become my meditation. I’m able to break down, process, and work out life’s instances. You have some time to think when you go on a 20-mile run. 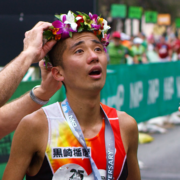 WD – What has running done to you as a person? SL – About two years ago I weighed 260 lbs., smoked cigarettes, and was tremendously out of shape. I started running and eventually got my weight down to 195 lbs. The before-and-after pictures show two completely different people and showcase the difference between unhealthy and healthy. My attitude towards everything shifted, I have a more positive outlook on life, and possess a confidence booster I didn’t realize I had. Even with all that, it was hard to find a sense of accomplishment in life when I first started running. It wasn’t until I ran my first race and received a huge medal. They put it around my neck and I felt this undeniable sense of accomplishment. It made me want more. As someone who’s new to running, I wanted that next feeling. Before running I was addicted to feeling good. Running provides that good feeling now. WD – Why do you continue to be involved with and support BoMF? SL – There’s a saying “keep what you have by giving it away.” Running with BoMF has been so beneficial for me on many levels. When I needed someone, they were there. They supported me and helped me turn my life around. I’m dedicated to bringing that feeling and sensation to other people. If they’re in a similar situation, I want to show them what’s possible. WD – Tell me how you went from morning runs with BoMF to ultra distances. WD – You’ve beco me a decorated ultrarunner. What are your recent accomplishments? SL – I’ve placed in the top 10 at several races and have thoroughly enjoyed pushing my body’s limits while testing longer distances. WD – What keeps you running? SL – Like I said earlier, it’s my medicine. Running is what I’ve gotten the most out of in life. Nothing makes me feel as good as running. You hear people talk about the direct connection between running and mental/physical health, but it doesn’t really click until you experience that feeling firsthand. It’s tough to find something like the “runner’s high” this rewarding. WD – Tell me one or two running goals on your radar right now. 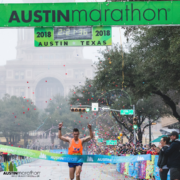 SL – Finish this weekend’s 100-miler (check) and qualify for the Boston Marathon at the 2019 Austin Marathon. WD – Tell me one or two non-running goals on your radar right now. SL – Get certified to become a personal trainer, continue progressing in my life, and reach as many people as possible. 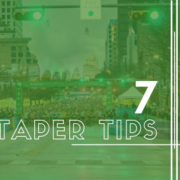 WD – How are you training for the Austin Marathon? What’s your approach? SL – Running trails has helped my road running. It’s strengthened muscles that don’t normally get work when road running. I run hills all the time. 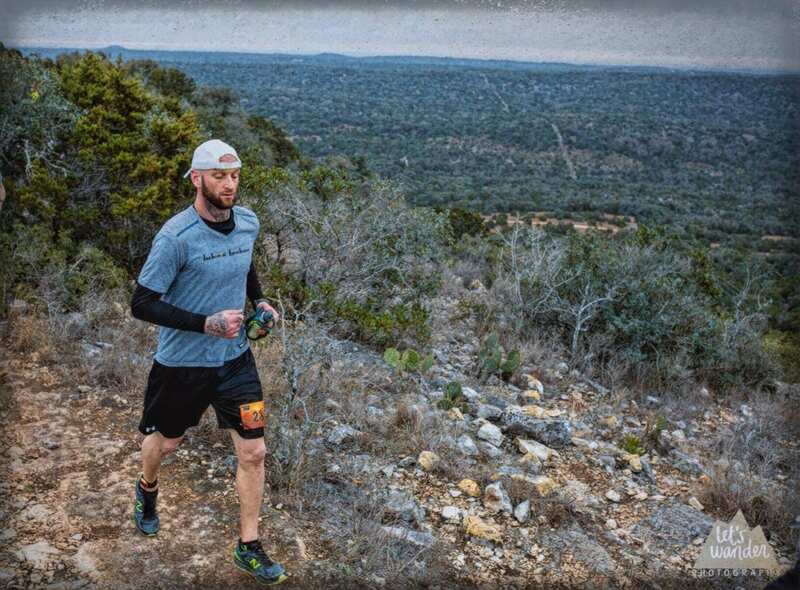 I plan to run the 2019 Bandera 100K in January. Barring an unforeseen injury, I’ll keep training because I want to qualify for Boston. 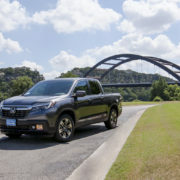 WD – BoMF is an Austin Gives Miles charity. Why should someone run/fundraise/spread awareness on their behalf? SL – Runners know how beneficial running can be, they get it. What better way than to help others better themselves than by running?! It’s a very unique outlet to help those that need it most, simply by completing an action most of us take for granted on a daily basis. SL – I want to be remembered as somebody that was able to help others through their trials and tribulations. I want to use my experiences to show them right from wrong, but to also show them you can still accomplish anything you set your mind to, no matter where you are in life. WD – You can travel back in time and give one piece of advice to your younger self. What is that advice? SL – No advice, I wouldn’t change a thing. I’m not ashamed of anything in my past because it made me who I am now. I wouldn’t be the Shawn Livingston I am today without my past. We wouldn’t be at this table today and I wouldn’t have a message to share if it weren’t for my past. WD – You have 30 seconds to pitch BoMF to someone who could benefit from the organization. 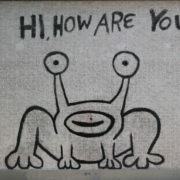 What do you tell them? SL – If you want to find an avenue to change your life and be around positive people who want to help, this program can provide that for you. WD – What does family mean to you? SL – Family means everything to me. My mindset changed completely when they cut me off. That’s when it sunk in. To have them back makes you realize at the end of the day family is all you have. WD – Favorite non-running activity? Favorite place for long runs? SL – Town Lake. To have so many people in the same place doing the same thing, from all walks of life, in shape, out of shape, all with similar goals, it’s energizing. WD – Shawn, thank you for taking the time to visit with me and share your story. Meeting you and hearing your story firsthand is powerful. I appreciate you spending your time with me. Best of luck at Pinhoti, your first 100-miler! I just might sign up for my first trail race and hit you up for some advice. Keep pushing and taking it day-by-day. Good things are headed your way. We’ll see you at the Austin Marathon! SL – You’re welcome. Thank’s for having me. I’m fortunate to have been given a second chance through running and I feel like I need to tell my story. Everyone knows someone with a problem. The hard part is reaching through to them and helping. I see running as an avenue to reach others. It can transform someone’s life if they have the right mindset. I know it transformed me! Thanks for the luck, hit me up when you register for that trail race. 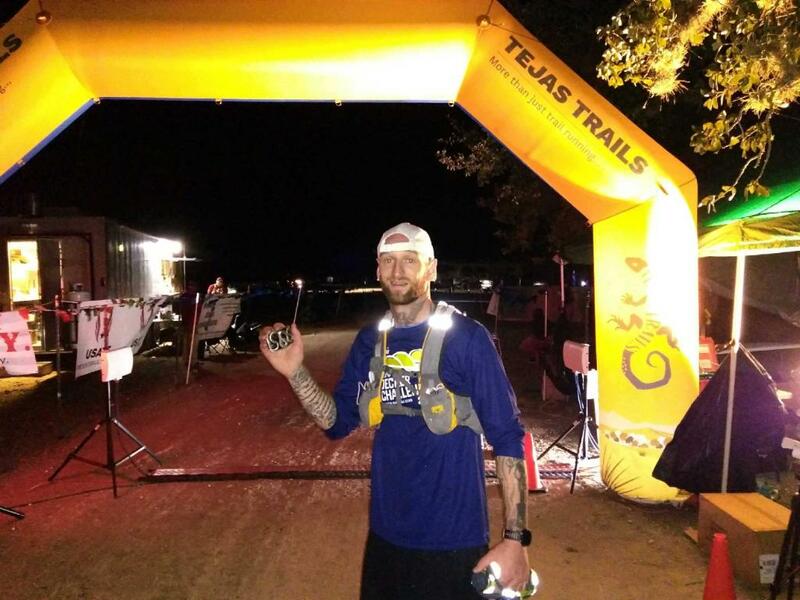 Looking forward to more trails and the Austin Marathon!